Sooo I know it has only been about seven weeks since I got back from a month in Europe, but I'm heading to the airport again tomorrow. This time the hubster and I are flying to Wisconsin, driving to Michigan for an academic conference, then going back to WI to spend a few weeks in our adopted hometown of Madison, Wisconsin. 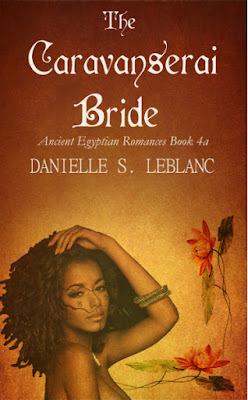 During that time I'll be frantically working to finish off the second book in my Ancient Egyptian Romance series. Historical Romance / Mystery lovers prepare yourselves. In the Temple of Mehyt is a murder-mystery romance set in Early Dynastic Egypt, and our two lead investigators are an unlikely duo - the unruly daughter of a nobleman and a charming, foreign former pirate. It's due out this summer, so stay tuned for more info! In the meantime, don't worry. I've got you covered. I've scheduled all kinds of yummy recipes (like Spartan beans and greens, GF Herb biscuits, and Vegan No-Oats Snack Bars), plus all of the Waste Not Want Not Wednesday parties you can handle! !